Rafael Nadal has withdrawn from next week’s ATP World Tour Finals in London, so Novak Djokovic will end the year as world number one having returned to the top of the rankings on Monday. The 32-year-old took to social media to announce that ongoing abdominal and ankle injuries have brought his season to an end. “It has been a complicated year; very good when I have been fit but difficult with injuries,” the statement began. “I have done everything possible to get to the end of the season in good condition. I really wanted to play in both Paris and London. 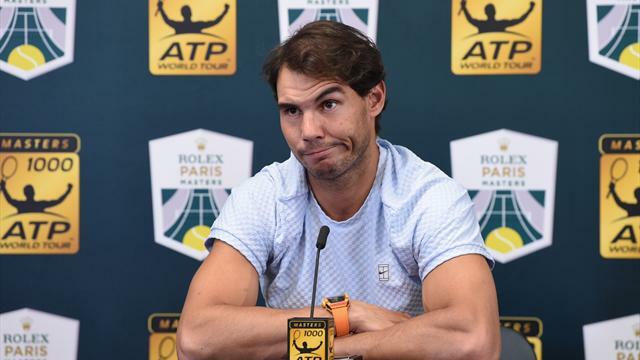 “Unfortunately, I had abdominal problem in Paris last week and also required an operation on an ankle injury.
" The ankle injury has bothered me for some time but I have managed the pain. However, since the abdominal problem has prevented me from playing in London, we decided to operate on my ankle." World number 10 John Isner will replace the 17-time at the showpiece event in London.
" Five months ago, if you told me that, I would be — I always believe in myself, but it was highly improbable at that time considering my ranking and the way I played and felt on the court." Djokovic goes into the tournament as the odds-on favourite, with Roger Federer, Alexander Zverev, Kevin Anderson, Marin Cilic, Dominic Thiem and Kei Nishikori the other players to have qualified.